It's 10th March 2016 and the Defence of East Sussex Project is ten years old! Things have come a long way in the past decade, from a small project that started by accident to a life-absorbing work that will hopefully see some books being written very soon. The story began back in 2006; the accident was that I wrote a blog piece on invasion defences at a time when my focus was on chemical warfare and UK Air Raid Precautions. My blog was only a few weeks old at that time and I was already struggling to find new content, hence my latching on to my local WW2 anti-invasion defences after watching a TV documentary. 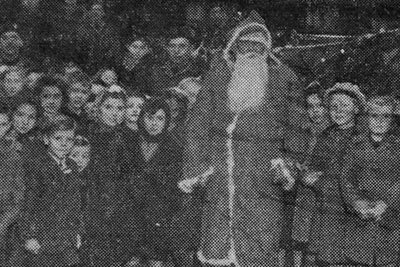 That blog entry ended with the prophetic words: "I may get out and about during the summer to visit the invasion coast." Nine days later I took my first trip into the field to view defence works at Rickney and a visit to the National Archives on 18 March saw me draw my first six anti-invasion defence files, although the focus of the visit was still very much on other subjects. I haven't stopped since. It was exactly one year later that I launched this website; I originally covered Kent, Surrey, Sussex and London, as these were the places that I encountered defences. However, it wasn't long after that I realised that I should focus on a much smaller area. 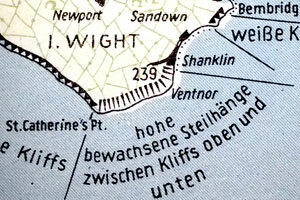 I chose to restrict myself to the defences of Eastbourne in 1940. 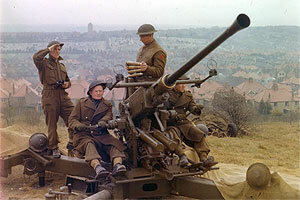 For some reason, the scope expanded and today the project covers all military activity in East Sussex 1939-45 and beyond! In a nutshell; use archive documents to tell you where structures were and events happened and conduct fieldwork. I had a very strong IT element from the start given that I'm a web designer/developer. As I was the person doing the archive research and fieldwork, I could tailor my databases to store the data I was harvesting. However, what started out as a minor side project not expected to have a substantial life expectancy has turned into something of a monster. This has caused me to overhaul and restructure my data to introduce a level of scalability that was simply unforseeable at the start. (I've also gained an MSc in Web Information Management since I started out!) I'm currently starting stage 3 of a long term project to renormalise my data into a single structure and convert it from Microsoft's Classic ASP to PHP; as a result, I hope to be migrating soon. I've had some enormous highs; most have occurred as a result of being a member of Sussex Military History Society and helping organise some of the SMHS fieldwork. To see some of the amazing projects SMHS has undertaken, go to: http://www.sussexmilitary.org.uk/list.php?list=project. 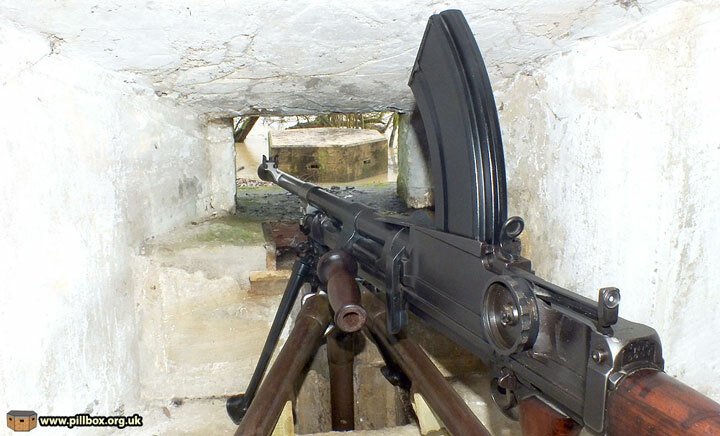 In 2010, I had the chance to set up a Vickers gun in a pillbox at Cuckmere Haven. This piece of experimental archaeology allowed me to completely reassess the design of the pillbox. In 2012, I spent several days in Ocklynge Cemetery at Eastbourne recording bomb damage caused in 1943. In 2008 a local estate agent invited me along as a military expert to an open day of Martello Tower 61 at Pevensey that was on the market. The tower had WW2 concrete on the roof in the form of a 2-storey Battery Observation Post (BOP) for the nearby coast battery. I began an ambitious project to visit every one of 473 roadblock locations listed in an archive document I found in 2008. It took me until 2014 to visit every one, but the results were worth it! Being a member of the Sussex Military History Society field team provides fantastic opportunities to get involved with military archaeology. At Cripp's Corner, we cleared some anti-tank dragon's teeth, painting one of them in camouflage, and designed an interpretation board. Another SMHS team effort, this project involved cleaning out and recording a series of pillboxes for Withyham Parish Council. 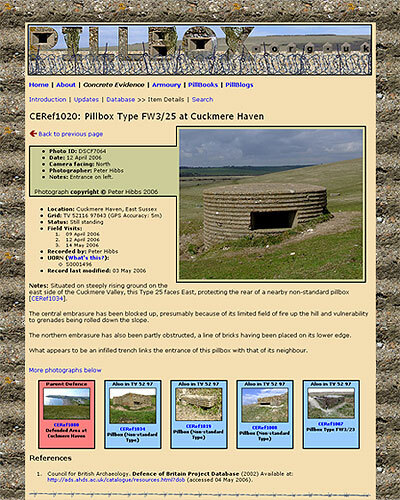 In 2015, Paul Connor and myself built a full-size Type 22 pillbox out of plywood, based on wartime plans. The pillbox will be on show at various events as part of SMHS's display in 2016. This has been a major leap forward in what I do as 3D models allow me to place missing structures back into the landscape using Google Earth. The image below shows a Type 24 pillbox under construction; this model alone has opened up a whole new field of study for me. My Concrete Evidence database is just a small part of my information system. The entire offline system contains everything that can be placed within a descriptive framework. Every archive file I've read, every book, every structure, every photograph I've taken, every military unit in East Sussex during the war, every air raid or other incident, every casualty can go into the database to provide a fully cross-referenced three-dimensional record of what was going on in the county during the war. I'm not currently aware of any such system elsewhere in the country, and so what I'm doing here is important. I'm currently revamping the database before another stretch of inputting new records, so it doesn't yet meet its full potential. I'm also compiling an instruction manual (graphic below) and a means of preserving the data (and indeed, my entire archive) for future generations. This is my favourite moment in the entire Defence of East Sussex Project! 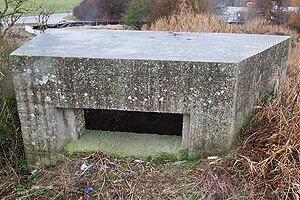 Again, as part of Sussex Military History Society, we were given special permission to excavate a pillbox that was buried in a flood defence bank as part of its original protection and camouflage. Sadly, some thoughtless vandals had previously tried on a few occasions to dig it out without permission. Fortunately, they failed miserably in this bid for some sort of perceived glory of being the first to "discover" it. The upshot of these idiots' handiwork was that SMHS was given the job of excavating and then reinstating the landscape. 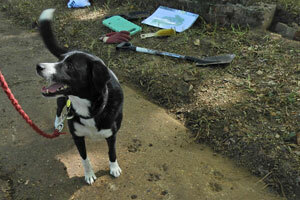 This excavation provided some very interesting and important archaeological data! I have a lot to do; my database to revise, a website to redesign and... books to write. I actually have two options on the table right now, one of which is a volume on the Phoney War of 1939-40. Anyway, if you have supported me and what I've been doing over the past ten years, it is very much appreciated, and I hope you'll keep watching this space for the next decade!